Decision making is a highly specialized skill and fortunately for me it is my area of expertise! It has been my practice, even before I got the nick name of „Management Guru’, to look straight at the problem in question, break down the problem into sub -questions, relate each sub- question to expected outcomes and carefully outline the channels, resources and options to achieve the desired outcomes. And the most important attribute to this exercise has always been my firm belief in well anticipated assumptions and known fallouts, with no room for personal or emotional influences. My highly professional approach in decision making has never let me down, be it official decisions or issues related to my personal life. Today's decision, which I finally made after careful consideration for over six months, has been the most critical and perhaps the last decision I am making in my present human form. Since the decision only revolves around me with little impact on other variables, it was quite challenging for me to reach a conclusion. But fortunately I finally made it, thanks to my professional distinction as a management expert. While arriving at a conclusion I considered all the pros and cons, „ifs âand „butsâ, and possibilities of unanticipated influences before getting ready to make a final decision. I am not sure if Prince Siddhartha had givenas much sincere and in-depth consideration to all such factors before deciding to pursue his quest for nirvana. Of course I am always reminded of those three visual experiences in Prince Siddhartha’s life which eventually transformed him to Gautam Budha. Therefore, in order to enjoy my life as abnormal human being without getting irresolute in my thinking or getting in to a debate of „atmaâ and „paramatmaâ I purposely avoided my confrontation with those three realities of life which severed Prince Sidharathaâs attachment with worldly pleasures. 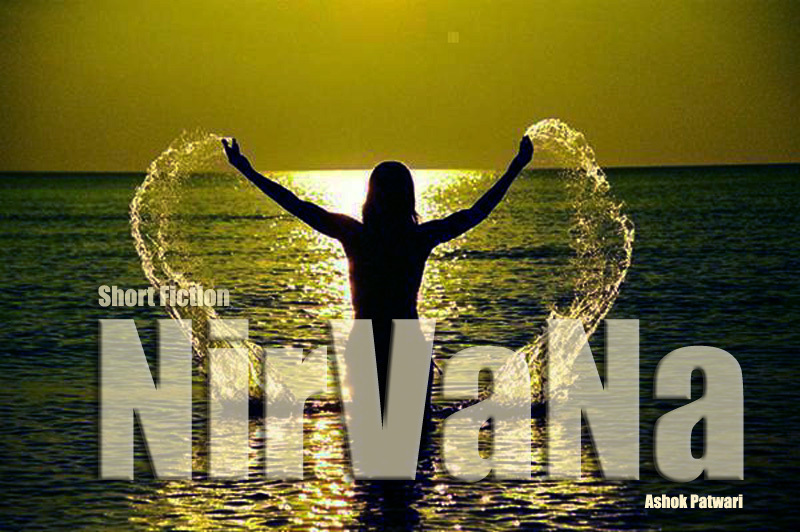 The day I read about his story, I decided that I will never fall in the trap of „nirvanaâ. I wanted to enjoy lifeto the fullest and relish the benefits and pleasures bestowed to me as a normal human being. I justified my preference for my worldly attachments by firmly believing that there must be some purpose in my coming to this world. And Imust fulfill that purpose rather than transform myself in to a defaulter or an outlier. I decided to strive to fulfill that purpose, without getting distracted by so called „self realizationâ and in the process land up in a jungle or a mountain top. It was quite early for my age when I decided what my destiny ought to be. I promised to myself that I will avoid any confrontation with those three realities of life- sickness, old age and death, which had the dangerous potential to derail me. When my mother proposed I should be a doctor, I immediately disposed that idea even though I had topped the class in Biology and every time I came back from my Pediatrician’s clinic I wanted to be like him. But after my awakening and learning about the risks of getting sidetracked towards nirvana, taking medicine as a profession was a sure shot suicidal attempt for heading towards the Sidharatha way. I was convinced that this is the only profession which would bring me face to face with all three horrible situations on a daily basis. So I narrowly escaped the first trap which could have ruined my ambition of living a happy and prosperous life ! It was perhaps because of my mother’s untiring efforts related to my nutrition and general upbringing that I never had a major sickness during my childhood and even in later life. Unfortunately, my father passed away following a heart attack when I was barely five years old. I have some faint memories of my father imprinted in my memory, but I don’t remember what exactly happened that time. And the sequence of events related to his fatal heart attack lasted for a short while without exposing me to any protracted spell of misery as an offshoot of his sickness and death. Since I was a child I was sent to my mom’s parents when my father was cremated. I only remember that after that fateful day I didn’t see my father again. I missed him a lot, but that didn’t invoke any kind of thoughts in my mind which would have forced me to think about death. When my mother passed away, she was old but in good health to look after my children and the household. It so happened when she had a stroke due to a brain hemorrhage I was not in town. I was on an official trip to Africa in the war torn city of Mogadishu in Somalia. As a great relief to me, my wife took the charge in my absence and looked after my mother, got her hospitalized in the intensive care unit and did whatever was needed to be done. But unfortunately despite good medical care my mother passed away after 3 days. Generally speaking it wouldn’t have been that difficult to immediately fly out from Mogadishu and attend my mother’s cremation. But I really behaved meanly, even though I had a deep seated psychological reason to justify this malice ! I didnât even attempt to come home in time because I was not prepared to see my mother’s dead body. I got a chill down my spine when I imagined my mother’s dead body being laid on the pyre. One can call me an escapist or a coward. But I donât mind that. I preferred to be given that name rather than see death face to face and witness my mother’s last journey. I deliberately set up a delusion for myself to believe that my mother hasn’t died but just gone to some other world where I can not see or talk to her! I consoled my guilty conscience by echoing to myself that wherever she is, she is happy, her memories and blessings are always with me- as if she is alive. This picture of death conceived by me doesn’t scare me, nor does it initiate any thoughts of „self realizationâ or amalgamation of „'atma' with ‘parmatma’. So I rationalized my inability to reach in time because of non-availability of tickets and skipped the cremation ceremony. My elder son fulfilled the rituals and cremated my mother. Once again circumstances helped me to keep away from a major reality of life- death of dear ones ! Unfortunately, my hide and seek game with realities of life couldn’t go on for ever. It was barely 6 months back when my wife passed away after a protracted illness for almost 3 years. Even though she was barely 60 years old, her deteriorating physical condition because of diabetes and malignancy shattered me completely. I had a firsthand experience with all the three demons I always avoided to confront. Her protracted multisystem diseases enhanced her ageing process and I stood face to face in front of my wife who looked so frail and old that I was shocked to the core. I witnessed my wife suffering from extreme degree of physical and mental sickness, the pain and misery I could have never imagined. The extent of helplessness she conveyed and her literally begging for euthanasia were two major psychological ordeals for me which I could not take. And finally when she died I was by her side and I had to take care of her dead body for almost two days till my children came from abroad. I cremated my wife with my own hands and witnessed the hard truth of death for the first time in my life. Last 6 months have not only brought me to a different intellectual and spiritual level when I am learning and experiencing life with a completely different perspective but I am asking those questions to myself which I always avoided – who am I, where did I come from, where do I go from here……! This was the same mental conflict I had years ago when my mother pressurized me hard to taking up medicine as my profession. “ There is a purpose assigned to my life and I should not let it go astray”! Once again I saw a purpose in this whole melancholy of pessimism and despair. I couldn’t allow my own life slip out of my hands. Therefore I decided to control it myself and the very next week I was back in Delhi. Last three months have been quite hectic and intriguing as well as educative for me. Soon after returning to Delhi, I refurbished every item in my life, got my house distempered, purchased new furniture, got a new Honda Amaze and started part time teaching in a management school. I believed that keeping me professionally busy will distract my mind from morbid feelings and cynical thoughts. The more I tried to ignore these thoughts, all the events related to protracted sickness of my wife, her speedy ageing process and finally her exit, shattered me. My core persona has suddenly been exposed to these three dreaded realities which broke through Prince Siddhartha’s mind to renunciate the worldly bondages. Whenever I close my eyes my wifeâs dead body appears in front of my eyes. I canât believe we were together for more than 35 years and I feel my heart is buried under a heap of pessimism. My circumstances have changed now and therefore I have made a decision after a lot of thinking! My decision is based on a thorough thinking process and I have decided to execute my plan with the help of my friend Devi Dayal ! Devi Dayal is my best friend. We have studied together in the school and in the college. We opted for different career paths but our friendship grew stronger as time passed. That is the reason when I am in such a frame of mind when I have actually renunciated all earthly relationships, I still need him and bank upon him for helping me out to execute the plan I have made after a lot of thinking. At first Devi got very angry with me when I disclosed my bizarre thoughts about nirvana. Like a well wisher he raised his eyebrows at my thought of experimenting with my life. But after understanding my mental conflict and considering the seriousness in my tone and temper, he tried his best to dissuade, pressurize and finally begged me not to leave. Knowing me very well since my childhood, when he looked at the meticulous plan I had prepared for my exit he had no doubt that my decision is irrevocable. Therefore after a couple of days of failed attempts he finally came in with a note book to write down the instructions before I leave for Haridwar. Like a diligent attorney Devi Dayal wrote down the details with precision. I had already consolidated all my savings and shares in one bank account and handed over my will to him for its execution. Being fair to everybody, as has been my approach in life being a Libran, I have divided all my movable and immovable property including cash in to three equal parts. One in the name of my son, the other for my daughter and the third for an old age charitable trust in the name of my parents. I didn’t like to donate it in my own name because I donât even want to leave a trace of my name behind me. After successful execution of my will, my name will automatically disappear from everywhere and that is what is the real „niravanaâ. I left my car in Deviâs house with clear instructions about its disposal as per my will. I gave him the duplicate key of my house so that he can sell it off after I am gone. My plan is very simple and now it is almost fixed in stone and mortar ! As per my plan I will leave my house tomorrow early morning with some clothes and money sufficient to pull on for a few weeks. From my house I will take an autorickshaw to the interstate bus stand, take a bus to Haridwar, and then another one to Rishikesh. In Rishikesh I will stay in Swarag Ashramfor a few weeks and when I am ready to move I will proceed up towards KailashParbat. Thereafter I leave myself in His hands for attaining nirvana! That is my complete plan ! Devi Dayalhas already been briefed about the last day in town. Therefore I decided to see him tonight to handover my car to him, hug him for the last time and then never turn back! This is what exactly I did today a short while ago. Everything happened as per the plan, but while coming back to spend the last night in my house, I inadvertently committed a blunder! While walking back from Devi Dayalâs house, for no good reason, I decided to take the short cut from the rear of my house which passes through the passage in front of my servant quarter. I am generally not in the habit of eavesdropping but when I heard my name several times I got alerted to listen to what my driver Bahadur was telling his wife. Bahadur is my driver for the last 3 months and his wife Pushpa has been cooking food for me and doing other housekeeping chores for the same duration. They were doing a good job but when I have decided to renunciate worldly attachments I have to give them up as well. It is with great difficulty I have detached myself from my children and grand children. The lone logic which helped me to overcome this „mohmaya’ and the grief that I will not be seeing them any more is that they will not be affected in anyway by my going away from their lives. I am just a bonus for them, and they can definitely do without me . So where is the need to cling to wordly bondages. The decision became easy with this practical approach. Since I have no attachment per se with my driver and his wife, there is no problem in parting with them. Just compensating them with three months advance salary and permission to stay on in the servant quarter for another month till they find some other job seems a reasonable way to relieve myself of this responsibility. I think I am fair to them and I therefore have no worry on their account. But what I heard from their conversation shattered me and my plans ! “Sahab is leaving tomorrow morning…..his friend will come after one month to take the keys of the quarter…..” Bahadur sounded equally distraught and gloomy. “What will we do after that?” Pushpaâs question sounded more like a threat. “How do I know…. I am not an astrologer…” Bahadur shouted at Pushpa though the question was innocuous. “Which taxi stand… you refused to work with Chaudhury when he offered even better salary…. Will he let you work now?” This time Pushpa's tone was louder as if challenging him for what he said so softly. There was a long deadly silence for a while. I tried to ignore what I heard. After all immigrant labour class do face these problems in Delhi day in and day out. In any case I had nothing more to offer to them. I have been generous enough to compensate for their good services and have given them enough notice time and money to move on with their life. I brushed aside the thoughts which had started coming to my mind and started walking faster to get rid of the feeling which was brewing in my mind. But before I could cross the servant quarter their conversation again froze my feet. “You shouldn’t have got this room cooler on installments. We are used to summer heat. What was the big hurry to get this cooler, a table fan was good enough….”I heard Pushpa saying with resentment. “Yes, it was a mistake… I realize it now” Bahadur sounded apologetic. “But I did it for Geeta , we are used to live even without a fan, but notGeeta…. Don’t you remember every year this little girl gets prickly heat sores all over her body. How could I anticipate that SahabJi will be going away like this….” Bahadur was apparently responding to Pushpaâs remark but was in fact talking to himself. “You mean we will lose five hundred rupees just like that….” Pushpa almost screamed. “What is the other option… you tell me…” Bahadur sounded equally frustrated and asked a counter question. I noticed another silent gap. “I wish Sahab hadn’t made this decision… we would have fulfilled our dream of sending her to a good school…” Pushpa sighed. I could hear her sobbing! “ It is my mistake… I should not have taken things for granted…… but what do we do now…!” Bahadur sounded helpless and troubled. “Where will we go from here…”Pushpa asked a question which sounded more like a plea. Bahadur didn’t say anything because he has no answer to this question. I can visualize that the imminent disruption in their life is real. They really have nowhere to go. In a metropolitan city like Delhi even night shelters for homeless are limited and if they failed to find a shelter inone month they have no option but to return to their remote village in Bihar. I know that! After hearing their conversation I am stunned! I am shocked not only as an ordinary human being but I feel I have totally failed as a Management Guru. As an expert in human resource management how could I not think about this aspect of my decision. I did consider what it means to my children and grand children if I take sanyas and devote my life to spirituality. But why didn’t I think about things which are attached to my existence, people who are not directly linked with me but indirectly tagged with my life ! Not even in my dreams I could have imagined that my individual decision can shatter somebody elseâs life….. people who depend on me will break and crumble…. my quest for nirvana will prove to be a blow to somebody’s life. After a long time Bahadur’s dream of a good job was realized, he got a room cooler on installment, admitted his daughter in a nursery school and after many years of hand to mouth living he had started sending some monetary help to his ailing parents in Bihar. But with my decision of renunciating the worldly desires and taking up sanyas everything is destroyed for him. He has to find a new job, new place to live and everything else. His wife is devastated. He consoles her but I know how difficult things are going to be for them. I am disappointed with myself and feel responsible for Bahadurâs plight ! I donât know what should I do now ? *Ashok Patwari is a Pediatrician and Public Health Researcher by profession. 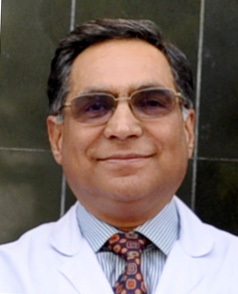 Apart from his professional contribution as Professor of Pediatrics at Lady Hardinge Medical College, New Delhi and as Research Professor in International Health at Boston University School of Public Health, Boston he has also served World Health Organization in India and in Philippines. A collection of his short stories in Urdu titled ‘Kuch lamhey kuch saayey’ was awarded by Delhi Urdu Academy in 2005. He has also published 4 collections of his short stories in Hindi- ‘Behta paani’ (in print), ‘Racecourse key godhey’, ‘Sitaron sey aagey’ and ‘Ghonsla’ (e-books). “Turquoise Tulips”, a collection of his short stories in English was published in 2015. He regularly contributes to ‘Muse India’, ‘Contemporary Literature Review of India’ and ‘Phenomenal Literature’. . Beautifully written. I am sorry for your loss. I am glad that you chose to stay back â I admire the chord of honesty in your article. Om Namah Shivay â I am Shiva. You took me into your quandary but the decision in the end seems clear as daylight. Thanks for showing the way Management Guru.